No, seriously. 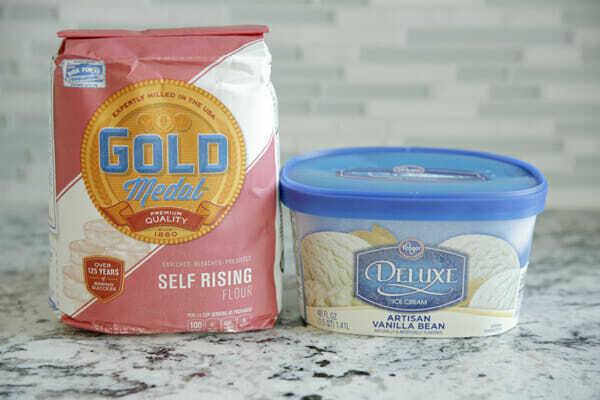 Ice cream and self-rising flour. I know, weird. I mean, how could I not try it?? I saw this link from Good Housekeeping magazine, which is what made me finally take the plunge and try it out. After all, those yummy looking breads came out of their test-kitchens, which is a source I trust. The final result? Yep, it does in fact make bread. It’s sort of crazy. And sort of cool. But unlike most sources of viral content on the internet, I want to actually be real and let you know exactly what you’re getting here. This is super fun and it tastes decent. Is it amazing bread? Nah. Is it totally nasty? Surprisingly, no. 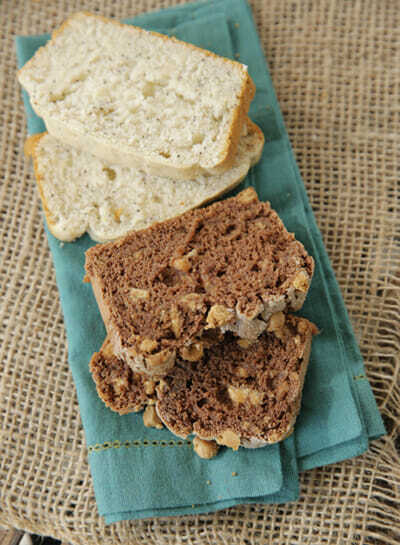 Would I make this bread for Christmas gifts for my neighbors? No. Would I serve it at a family brunch? Probably not. That being said, I’m sharing this because I do think it has a great place in the kitchen repertoire. It’s an absolutely perfect cooking activity for kids. 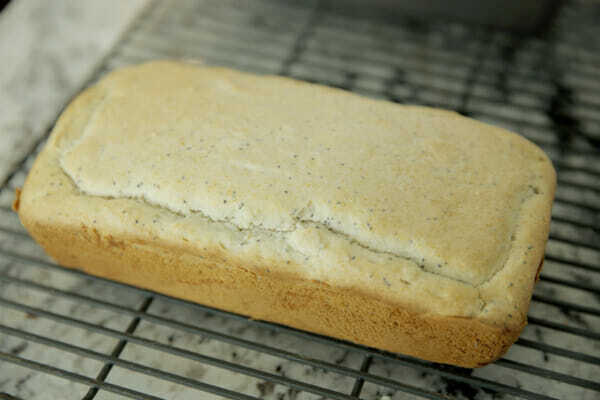 And don’t get me wrong- the bread is actually quite tasty, especially when you add in some additional mix-ins, but if you make the plain bread alone, it’s no where near the quality of an actual homemade quick bread and can have a flour-y texture and taste. But my kids thought this was AMAZING. And to them it tasted just as great as my homemade banana bread (which it is most certainly not). It’s a really fun, quick project that you can do together, or older kids can make themselves, and they’ll think it’s so fun. I overheard my boys telling their friends about it and making them guess what the secret ingredient was. So check this out. Start with 2 cups of really soft ice cream. If you leave your ice cream on the counter, you know how the edges always melt the fastest? Do that, and then just scoop out all around the edges for this recipe. 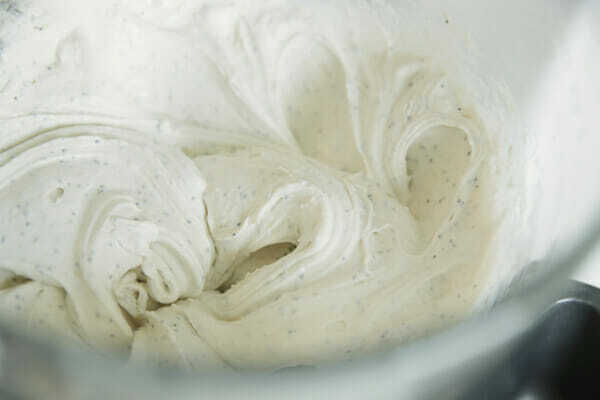 The center of your ice cream will still be nice and frozen, so you can pop it back in the freezer without ruining it. I’m just tossing everything in my stand mixer. Even though there are only 2 essential ingredients, you’ll want to add some flavor here. I tried a couple combos suggested by that Good Housekeeping article. 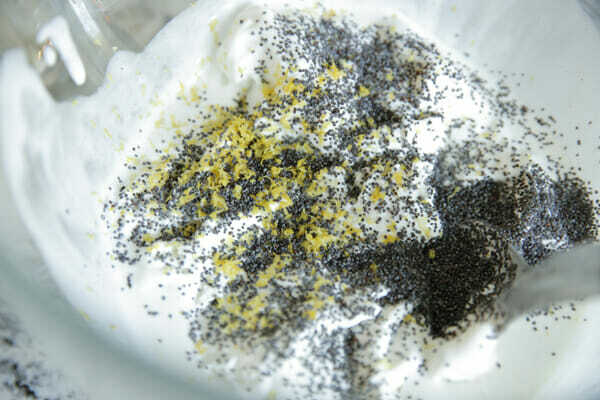 The first combo was lemon and poppyseed. I added some lemon juice to mine as well, and about triple the zest they called for. If I did it again I would probably add some vanilla extract as well. 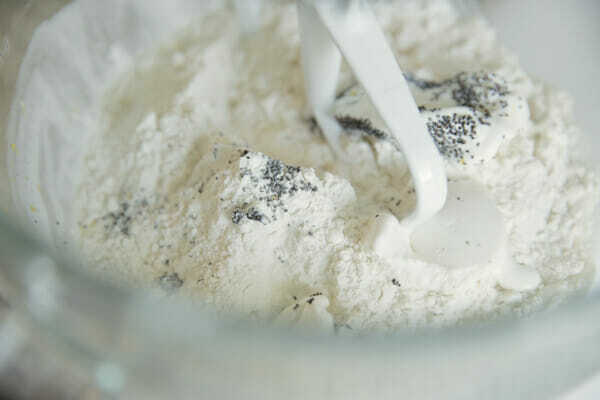 Mix it all up with 1 1/2 cups of self-rising flour. You’ll get a batter that actually looks like, well, bread batter. But it’s freezing. Place that in a bread pan to bake. Since this was so quick and easy, I tried a chocolate version too: just plain chocolate ice cream, with peanut butter chips. 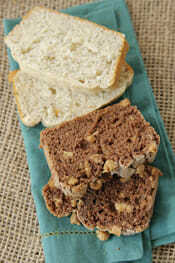 On the chocolate bread, I sprinkled some plain granulated sugar on top, along with extra chips. Oddly enough, it baked up looking like bread. Who knew! I was glad I tried the chocolate with the extra toppings because that one looked extra delicious. After they cool, you can dig in. See? Real bread. It’s actually pretty light and fluffy to the touch. Everyone at my house agreed that the chocolate was better- I think it’s because the peanut butter chips added so much flavor and the crunchy top was awesome. Like I said, my kids devoured it. And let’s be honest, I ate more than one slice of that chocolate. Maybe slathered in butter. Here’s some tips and suggestions if you want to try it! 1. Add flavor. 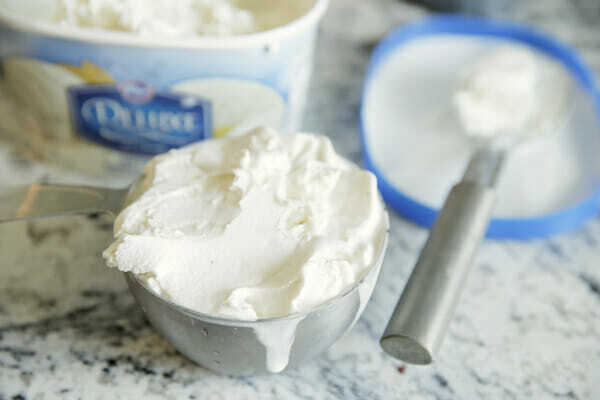 You can use any flavor of ice cream, so play around with that. You can mix fresh fruit into fruit flavored ice cream, nuts or chocolate, crushed cookies, etc. Check out the ones that Good Housekeeping tried for some examples. 2. Try to not underbake (ends up with a weird, mucky texture) or overbake (dry). Test with a skewer and take it out as soon as it comes out dry, with just a few moist crumbs attached. 3. Don’t tell anyone what it’s made out of- make them guess! It’s fun. Optional: add-ins. Fresh fruit, chocolate chips, spices, extracts, etc. Preheat oven to 350 degrees. 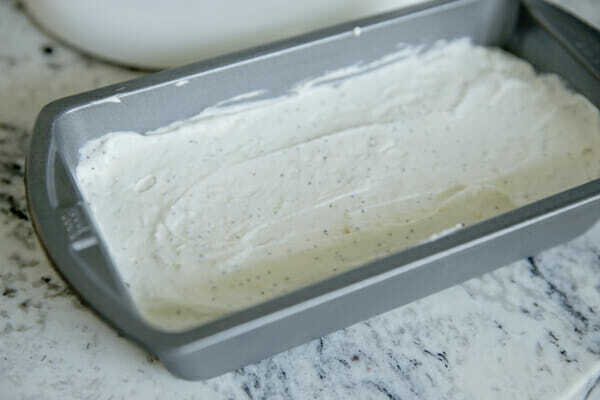 Mix up all ingredients and put into a greased loaf pan. 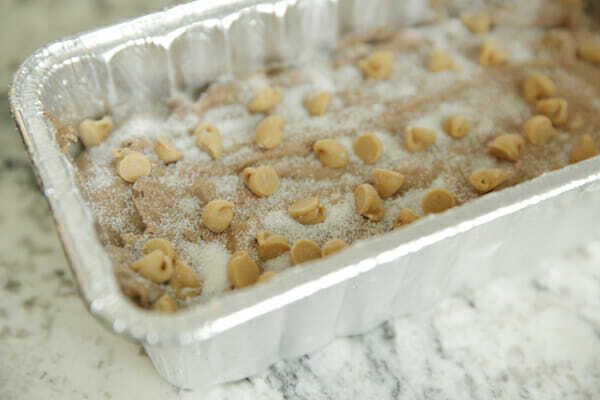 For an extra delicious (and pretty) top, sprinkle a little granulated white or brown sugar on top before baking. Bake for about 42-48 minutes, or until skewer or tooth pick inserted in center comes out clean. Speaking of ice cream- our Grocery Giveaway ends this week! I’d tell you when, exactly, but you and I both know I’d forget to actually end it and pick a winner right then. So it’s going to be a surprise. But it will happen this week for sure, so you’ve been warned! Get those pics entered to win! That’s crazy! I have some ice cream that melted and refroze and I was saving it to make milkshakes, but I think I’ll let my kids use it to try this instead. 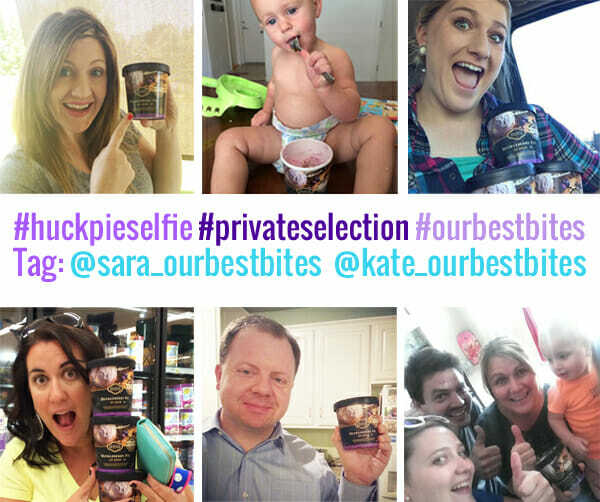 Have you tried it with your huckleberry pie ice cream? I had not seen this, and though I understand it won’t be a stellar recipe, I totally get it about making this with the kids. Super fun. Thanks for sharing Sara! I haven’t seen this either. O.K you convinced me that Emma (4) and Esther (2) need to help me make this! That is the craziest thing ever! Thanks for sharing this cool idea with us today! and we’ve made basically everything in the “cooking with kids” section already! My teenage boys made this at church one activity night. They didn’t add any extra ingredients in the batter. They brought me some to try and were real excited for me to guess what was in it. It didn’t taste real great, but it wasn’t bad, but they sure talked about it and it was a fun activity. I would recommend making it with kids! Kinda looks like the neat loaf slices at Costco. I think I’ll try it with the 8 and 10 year old grandson next time I have them over. Might swirl some jelly through it and see how that goes. Hmmm… what an interesting idea! I’m glad you shared this and your honest opinions! I do think my daughter would love to try this out! We made this tonight for family night. My son basically did everything – cause it is so simple – and he’s not even four yet. He loved it. We of course did chocolate and added peanut butter chips. It tasted just fine – a great dessert and my little boy had a blast. Thanks, as always, I love your recipes! That looks awesome – I had this recipe saved and I am glad to see it works! I actually like when people report so-so or failing recipes if they from another source (cookbook, etc.) It saves me a lot of trouble. When I go to bake something, I google it first!!! I have 3 kids that love to “help” in the kitchen and I’m just too OCD to take help. My kind of “kids helping in the kitchen” is having them lick the cake battered bowl, or eat some raw cookie dough (just keeping it real). I appreciate this recipe because it has just 2 ingredients. I can handle their help with that. I might try baking it as mini muffins. For some reason my kids won’t eat bread I make in a loaf pan, but devour it as muffins. Go figure. Thanks for all your hard work. I don’t know how you girls handle 3 kids plus a job. Looking forward to your 3rd book. I need a “healthy recipes” cook book!! 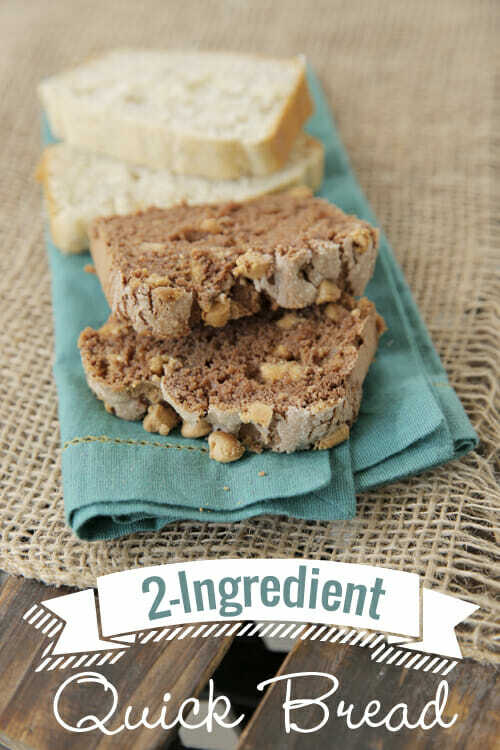 This is a terrific recipe for kids to try, and the list of just 2 ingredients is a wonderful way for kids to make something without lots of prep. Thanks, Sara! Thanks for the recipe. I agree that this is something my kids would love to try and make. They’d be fascinated with the ingredients. My daughter is obsessed with a recipe for “Thunder Cake” – which is basically chocolate cake make with tomatoes. Its JUST a chocolate cake. There isn’t anything special about it, but she enjoys it. Anything to get kids excited about something. Thanks again for the idea and the disclaimer about the quality of the recipe! I don’t have kids, but I’m a big kid myself and I just want to make this to see how it turns out. Sounds like a science project. Do you think I would get the same results if I used gluten-free, wheat free flour? I may also sub coconut ice cream for real ice cream. It would be cool to create a vegan version of this for my many many vegan friends. Thanks for posting! i can’t wait to try this. i think my kids will think it is awesome, and, to be honest, it is something i can give them the ingredients and let them do themselves which they think is pretty much the coolest thing ever. This is similar to a recipe I like from the Moosewood cookbook, which is basically just yogurt and flour. 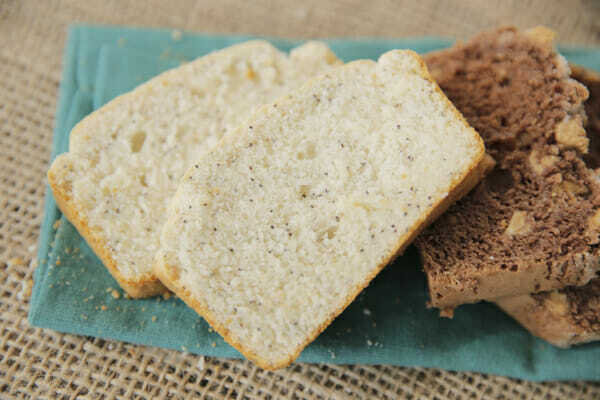 It’s super simple and tastes like a soda bread. 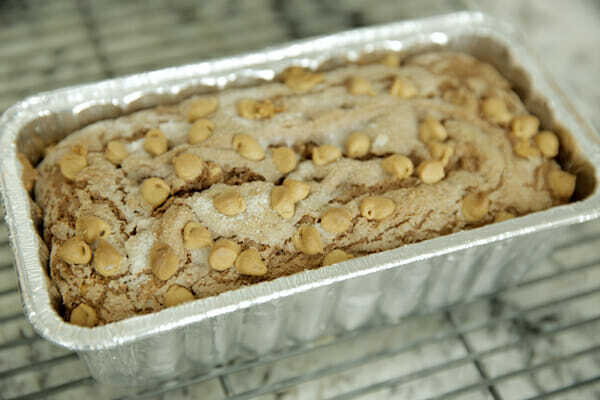 Someone out there us reading my mind…I did not have ingredients for bread not long ago and had some ice cream I was going to toss, so used it in place of ingredients..was very tasty and thought I had invented, so to speak something new. Have fun baking!! !